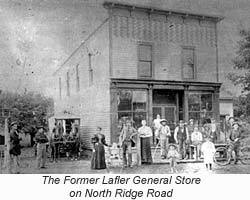 Organized in 1967, Community Bible Church originally occupied what was known as Lafler’s Store on North Ridge Road with the Rev. Jack Brennan shepherding the group. 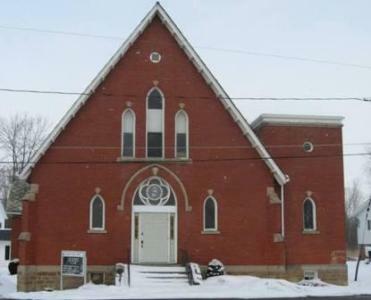 The Immaculate Conception Church was purchased and renovated in 1974 under the leadership of Rev. Bradley Smith moving worship services to their current location. The church continued to grow under the ministries of Bradley Iverson (1978-1985) and Michael Rowe (1985-1994). Rev. Brad Delp became our pastor in October of 1994. 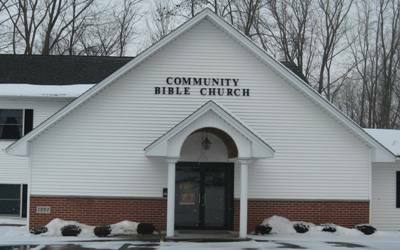 Under his leadership (and many dedicated and kind folks here at CBC) the Lord once again blessed Community Bible with an addition to the facility in 1997. A new sanctuary and Sunday School rooms made breathing space much more available, leaving the original sanctuary open for use by our AWANA and youth groups.